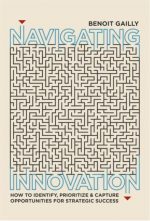 Managing innovations requires understanding what innovation means, why an organization needs and wants to innovate and the capabilities it should develop as a consequence. This might imply that your organization should implement the latest fad or emulate Apple and Uber. Or that it should not. Managing innovations means thinking about how to build an organization that is continuously able to identify, assess and implement new opportunities in line with its strategic objectives. This means in particular being able to steer people and resources in a changing world, where knowledge and objectives are not a priori given but are framed and adjusted over time. There is no universal recipe for successful innovations. Each organization has to identify and prioritize its needs based on its purpose, resources and environment. What was right for Google, 3M or Tesla might not be right for your organization here and now. Managing innovations also entails mobilizing stakeholders and implementing cheap and iterative learning experiments, in order to cope with uncertainties and resistance to change. Managing innovations implies turning your and other people’s new ideas into new realities. This might involve fostering more creativity and ideation, or might not. Inventors are convinced, but innovators are convincing. Managing innovations requires a bit of storming and a lot of brains.